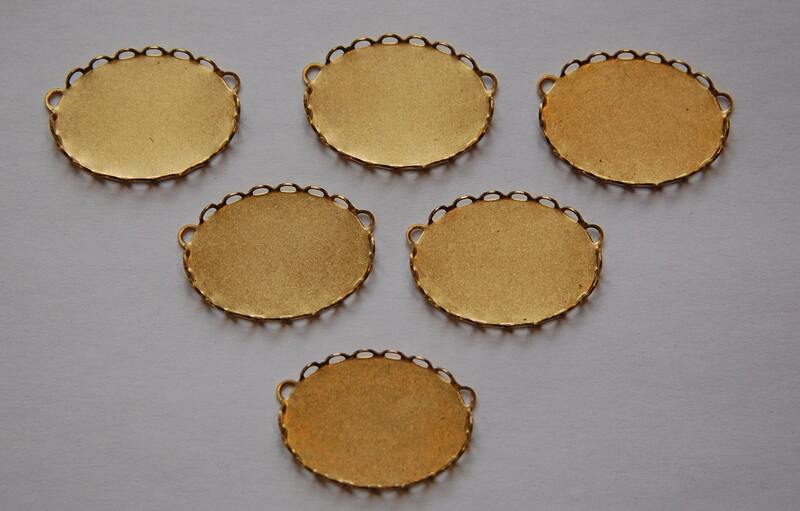 These are raw brass lace edge settings. They have 2 loops down off center at the top. These settings hold a 25mm x 18mm stone or cabochon. You will receive 6 pieces. Becoming a popular design for our shop. Thanks for the excellent service.